In order to provide communication with the engine management computer a hand held electronic scanner can be plugged into the 16 pin connector socket on the SunSpeed link harness. This connector known as Data Link connector (DLC) or On Board Diagnostic (OBD II) is included on the SunSpeed wiring and replaces the original Elise connector. The recommended tool is OBD2allinone. This scan tool will work on all Honda engine computers: USA, European and Asia. The OBD2allinone Scan tool connects directly to the diagnostic connector on the SunSpeed link harness and then to a lap top computer. The OBD2 All In One tool works with a wide range of software programs. The screen can be configured in many ways with gauges, graphs and, will data log. The SunSpeed link wiring harness makes use of the dash board instrument indicator "battery charging" light to show trouble codes. 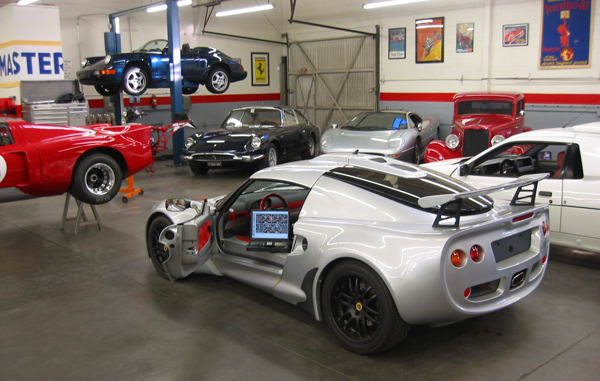 In some Elise versions this light will be the Check Engine indicator. If this light is on there is a "trouble code" stored in the engine management computer. The trouble codes can be checked in the normal manner of grounding the terminal and counting the flashes. However, it is much more efficient and useful to use the recommended scan tool with lap top computer. 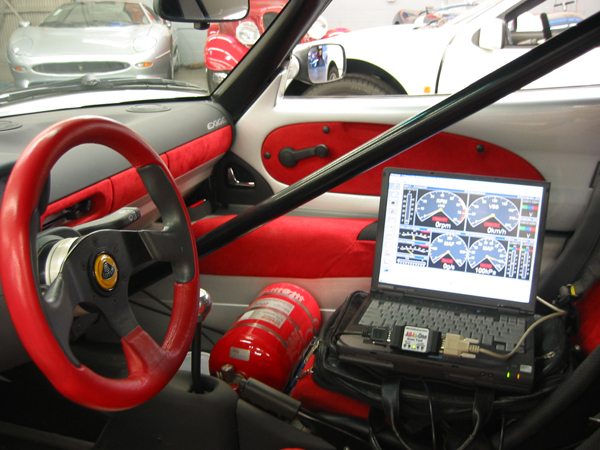 The scan tool and lap top can be active in the car while driving to observe and data log the engine management system.